PYEONGCHANG, South Korea — The equation was supposed to be simple. To build a world-class ski destination, simply add the Olympics and wait. 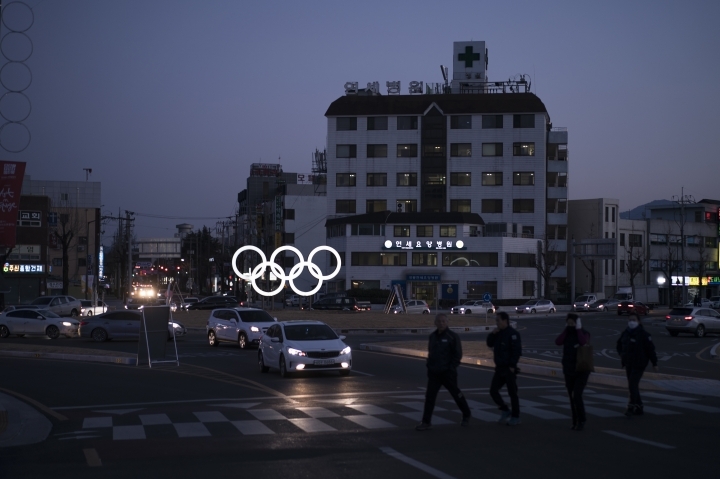 But even as South Korea basks in the glow of daily competition and global attention, hope is fading that Pyeongchang will do what was promised during its successful 2011 Olympics bid and turn an ignored, impoverished backwater into a premier Asian ski hub. With the close of the games this weekend approaching, some worry that the Olympics will instead saddle the region with a legacy of massive debt and the perpetual maintenance of a handful of hugely expensive venues that no one knows what to do with. When it came to landing the Winter Games, the things that had always isolated the area — heavy snows, long winters and sharp mountains that rise nearly half a mile above sea level — were a blessing. But when the visitors leave, many of the province's problems will remain. It will still have a tiny, rapidly aging population that's second to last in the nation in average income and without any real industry after the collapse of the mining and coal sectors that many once relied on. "There is a high possibility that the 2018 games will lead to long term financial strain, if not bankruptcy, on the local government," Joo Yu-min, a professor at the National University of Singapore, wrote in a book last year about South Korean mega-events. "The benefits for local residents are also questionable." Pyeongchang always hoped for the kind of transformation that happened in Seoul 30 years ago during its memorable Summer Olympics. But the nation's capital in 1988 was ripe for change in a way that Pyeongchang is not. South Korea's population had exploded since the Korean War left the country in rubble in 1953, and the 1988 games allowed Seoul's infrastructure to finally catch up. Large public parks sprung up along the city's Han River. New highways, bridges and subway lines proliferated. Gleaming high-rise buildings rose from the bulldozed ruins of old commercial districts and slums. The idea was for the country's first Winter Games to also boost development and mark the area as a world-class tourist destination. South Korea spent about 14 trillion won ($12.9 billion) on the games, well above the 8 to 9 trillion won ($7 to 8 billion) initially projected. Big, modern resorts now nestle among the mountains, and there are new roads, highways and trains. One whisks people from the Seoul area, the country's population hub and international gateway, to Pyeongchang in about an hour and a half. Western sit-down toilets have replaced squat toilets, and traditional floor seating was swapped for chairs and tables in many restaurants. English-language menus and wheelchair accessibility were added. Beds replaced pallets in some motels. Many owners spent their own money along with modest amounts of government subsidies; there have been grumblings that there wasn't enough official support. Of course, the same trains that speed people to the area in the morning can take them back again in the evenings, robbing locals of a big slice of the tourism money they were promised and leaving the mammoth resorts empty. And a lot of the valuable land around the venues and resorts has reportedly been snapped up by well-connected family members of the country's powerful business monopolies. 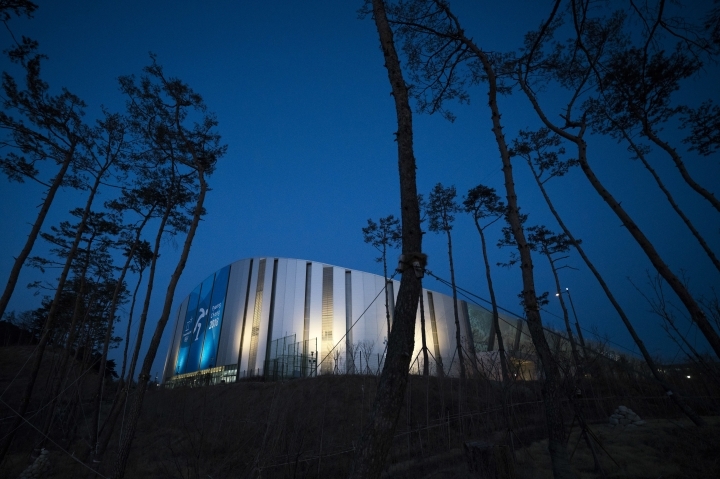 Gangwon, the province that governs Pyeongchang and nearby Gangneung, a seaside city that hosts skating and hockey events, will be stuck with managing at least six state-of-the-art Olympic facilities after the Winter Games. The International Olympic Committee warned in August that the venues could become white elephants. The scenic Jeongseon Alpine Center, built where a forest of rare trees once stood, was supposed to be demolished after the Olympics and restored to its natural state, which could cost more than $90 million. But Gangwon officials are now trying to persuade the national government to let at least half the course be developed into a high-end leisure destination. "I hope that the course stays," said Maeng Won-yeong, 65, one of dozens of area residents whose homes were moved to make way for the course. While it wasn't easy seeing his neighbors leave or a beautiful forest knocked down, Maeng said Jeongseon, a former mining town, desperately needs a tourism boost. Gangwon has pushed, unsuccessfully so far, for the national government to pay to maintain new stadiums that will create an estimated 9.2 billion won ($8.5 million) deficit each year. 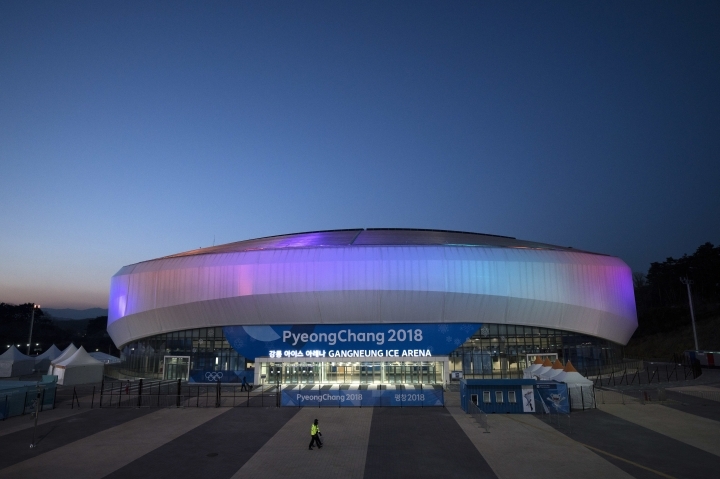 Gangwon official Kim Yong-chul said there could be "an outline of an agreement" with the national government on helping with maintenance costs by the end of the Paralympics. "The national government," Kim said, "has the responsibility to step up." In a country that has never had a strong winter sports culture, it seems unlikely that money from local visitors — let alone waves of rich foreigners — can offset the venues' high maintenance costs. Some locals feel that the money could be better spent on social welfare. 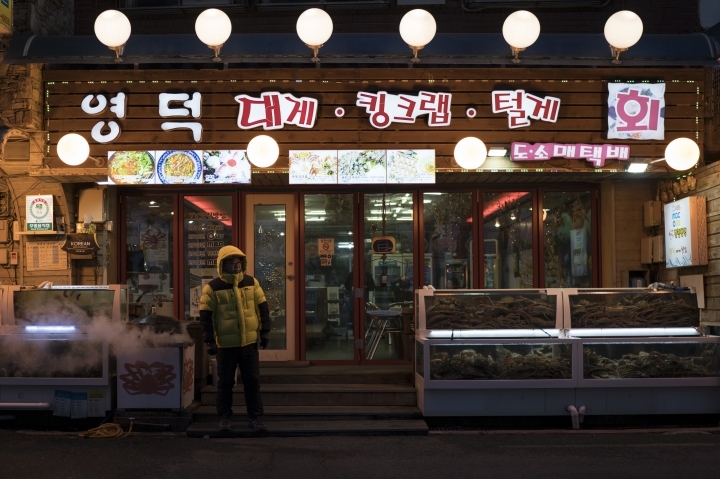 Kim Jin-hee, a 49-year-old who runs a small coffee shop in Sabuk, another town in Jeongseon, can't find a special needs school, either in her town or in the surrounding area, for her 9-year-old son, who struggles to communicate because of a severe brain disability. She finds it absurd that a province that can't provide the most basic services for its citizens has splurged this much on sports. "I really have a lot of complaints about that," Kim said. Another problem with the push to put Pyeongchang on the map as a winter sports destination may come from within. Beset by North Korean missile tests and threats and recent political and social crises and massive street protests that helped drive the former president from office, many don't see winter sports as that important. "It's not a big national moment or a big marker of identity for South Korea," John Delury, a Korea specialist at Seoul's Yonsei University, says of these games. "The fact that no one is really excited about the Olympics is a sign of maturation." Never mind dreams of a tourist boom, said Sangho Yoon, a senior researcher at Seoul's Korea Economic Research Institute. The province, he said, could be headed for 10 to 20 years of financial trouble once the games leave town. "We will never be able to justify the spending," Yoon said. "The costs that Gangwon Province will shoulder will be greater than whatever bump it gets in tourism." The region's only shot at becoming a true international destination for winter sports is to embrace niche markets, like travelers from Southeast Asia and the Middle East intrigued by skiing but lacking home venues, Yoon said. Instead, he said, Pyeongchang officials seem focused on promoting the region to existing winter sports markets in North America and Europe. "How many New Yorkers will say, 'Hey, let's go to Pyeongchang and ski?'" said Yoon. "Zero." Foster Klug is South Korea bureau chief for The Associated Press, and Kim Tong-hyung is a correspondent in Seoul. Follow them on Twitter at @APKlug and @KimTonghyung.